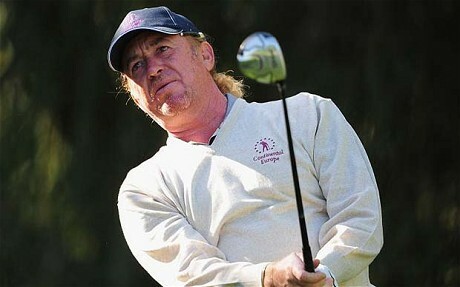 Miguel Angel JimÃ©nez has been invited to hit the first shot in the Vivendi Seve Trophy on Thursday in honour of his late countryman Seve Ballesteros. The gesture would have delighted Ballesteros, but only if the ceremonial start leads to a victorious end for Europe. The European team have not won this biennial matchplay event since the inaugural tournament 11 years ago, when Ballesteros led the European team against Great Britain and Ireland. As well as the tribute to the man around whom the concept of European team golf was built, the Vivendi Seve trophy, staged this year at Saint-Nom-La-Breteche, outside Paris, serves as an early pointer for watching Ryder Cup captain JosÃ© Maria OlazÃ¡bal. Though world No 1 Luke Donald and US Open Champion Rory McIlroy are absent, OlazÃ¡bal is not short of talent to scrutinise. Open champion Darren Clarke, world No 2 Lee Westwood, Ryder Cup warrior Ian Poulter and Celtic Manor combatant Ross Fisher are all included in the GB&I team. The European 12, captained by Jean Van de Velde, includes two players from opposite ends of the generation gap desperate to make the Ryder Cup team at Medinah next year, Thomas BjÃ¶rn, 40, and 18-year-old Matteo Manassero. The qualification process began at the start of this month in Switzerland, where BjÃ¶rn posted his third victory of the year. Manassero, the youngest participant, who continues to progress, has made the Ryder Cup a priority. Westwood is returning to the event for the first time since 2003. None would argue that the Vivendi Trophy has the kudos of the Ryder Cup but it does have Seveâ€™s name attached, which was sufficient to secure his involvement. Japanâ€™s Ryo Ishikawa has been fined $26,000 (Â£17,000) by the Japanese Tour after withdrawing from a second tournament in as many months. Ishikawa, one of the biggest sports stars in Japan, blamed an injured shoulder for missing the Kansai Open in August and an event in Toshin last week.